People Place Power is a two-day conference from 14-15 June by Creative People and Places to provoke, challenge and move forward inclusive approaches to arts engagement. It will unpick the themes of power, collaboration, ownership, relevance and place through a series of conversations, with an emphasis on learning and practice. 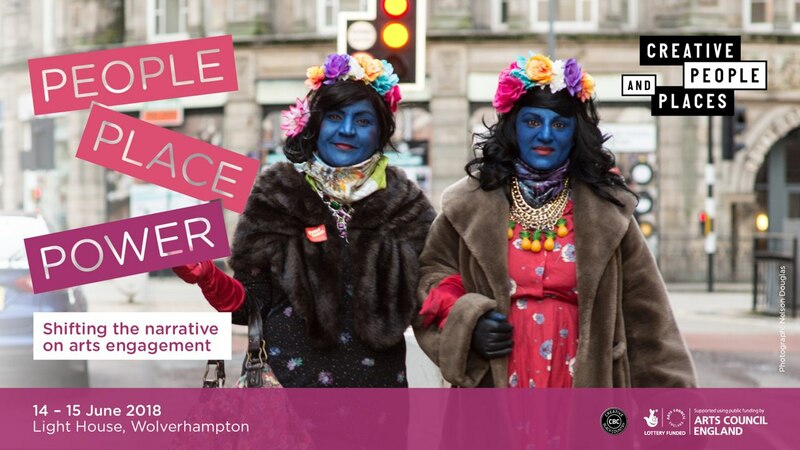 Taking place in Wolverhampton and hosted by Creative People and Places project Creative Black Country, it will bring together leading voices from within and beyond the arts sector, as well as participants, artists and Creative People and Places teams. Having undertaken the evaluation and impact assessment of Creative Black Country over the last couple of years, we know that attendees will be in for a great two days in Wolverhampton, including the chance to immerse themselves in the area’s fantastic Desi Pubs.